Wisconsin winters bring more than snow and cold weather. The winter and late fall in Kenosha also mark the beginning of cold and flu season. This time of year can be especially straining for parents of newborns, infants and toddlers. Your best hope is to prevent the flu virus and germs from entering your home. You cannot control the germs your toddlers and children bring into your home from preschool, daycare and other children, but disinfecting your own home is your best chance at reducing a flu outbreak among your children. This tip is for parents of children that are sick with the cold or flu. If your child develops a fever or symptoms of the cold or flu, you should leave him or her home from daycare or school. This is to help prevent the virus from spreading to the other toddlers and children your child typically interacts with each day. There are several daycares and preschools in Kenosha that will not allow a child to return to their facility within 24 hours of developing or reporting a temperature of 101 degrees or higher in order to reduce the spread of the virus. 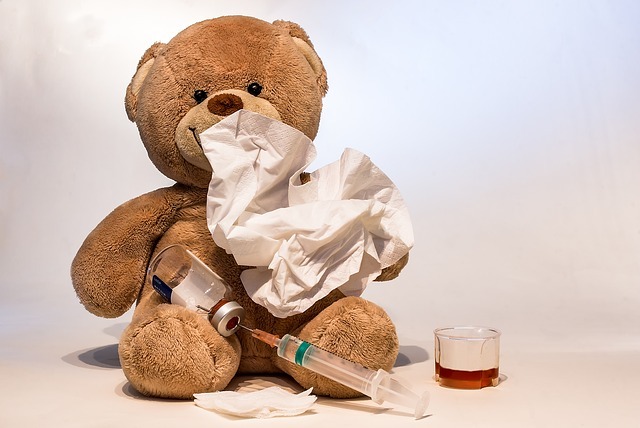 If you are sick with the flu or a cold, we recommend having your spouse or another adult drop off your child at their daycare or child care center as well. You should teach your toddler and young children the proper and polite way to cough and sneeze. The proper way to sneeze is to sneeze is for your child to cover his or her nose and mouth with a tissue and then to throw the tissue away immediately after. Practicing this will help mitigate the spread of germs in your home and throughout your child’s preschool. It is especially important during cold and flu season to ensure your child eats very healthy. Your child needs to remain hydrated throughout the day and should enjoy a good balance of fruits and vegetables for vitamin C. Please read our tips on how to pack a healthy lunch for your child. Toddlers and children should wash their hands for at least 20 seconds after using the restroom. You can create a song or a memorable rhyme for your child that requires 20 seconds to complete during the time they wash their hands or see if they can count as high as 50 or 100 each time they wash their hands. You should disinfect the toys in your home and other items your children’s friends and guests touch in your home. If possible, disinfect all surfaces in your home on a regular basis during cold and flu season to help prevent the spread of germs throughout your home. There is no guarantee that following these tips will prevent colds or the flu in your home this winter but you feel good knowing you have tried your best to limit the chance of anyone in your family falling ill during this time of year. Fun Things to Do in Racine & Kenosha this Spring! Copyright © 2019 CornerStone Academy. All rights reserved.